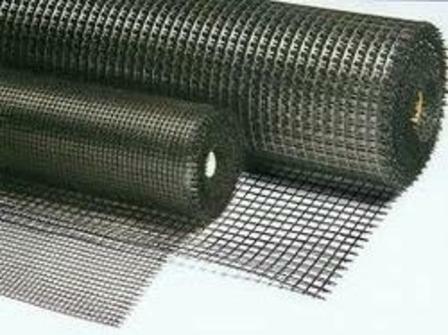 Biaxial Geogrid is a co-polymer reinforcement panel composed of high molecular weight multi-filament polyester yarns with a PVC coating. Biaxial Geogrid is produced by punching a regular pattern of holes in sheets of the co-polymer then stretched into a grid pattern. Common usage is in soil reinforcement applications such as MSE retaining walls, roads, storage yards and load bearing structures. 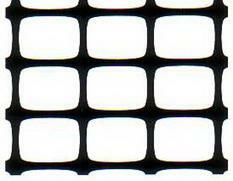 Biaxial Geogrid provides excellent tensile strength in both principle directions. The reinforcing action of the product lies mainly in increasing the shearing resistance within a soil by a process of interlocking between the square ribs and the soil. The load dispersal effect from the interlocking mechanism is more effective and can reduce sub-base thickness and construction cost. 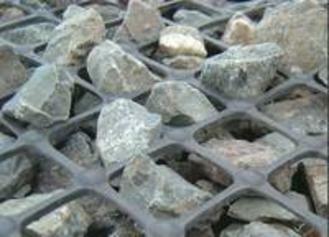 Biaxial Geogrid can be used with any type of fill material. One layer or multi-player construction distributes loading and disperses stress more effectively, leading to the reduction in differential and improved foundation bearing capacity.